This page displays our entire collection of holistic health care, behavior, training, animal advocacy and rehabilitation, educational and inspirational Videos, DVD's, Books and CD's for dogs, horses, cats and other small animals, sheep, goats, cows, poultry, birds, butterflies, bees, other wildlife - and people too! From improving health, harmony and communication for you and your animal… to increasing awareness of nature and the world around you…to celebrating life with animals with joy and humor, you'll find a wonderful selection to choose from. Enjoy! 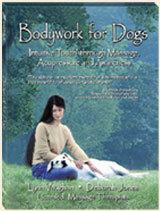 Our selection of books covers a variety of subjects you'll value for your animal's health and well-being, your health - and your relationship with all animals: massage and acupressure, herbs and homeopathy, other natural remedies and nutrition, to clearer communication and awareness, better understanding of your animal's nature and needs, and inspiring life-lessons from national bestselling authors - extraordinary wisdom, instruction and guidance! Please visit our Dog, Horse, Cat and Wildlife pages for additional products to select from. By Richard H. Pitcairn, DVM, Ph.D.
What do Andrew Weil CD's have to do with animals? Plenty! Learning Breathing, Self-Healing and Meditation techniques will have a positive and relaxing influence on your animal's health and behavior as well as yours - and also enhance your connection and communication with them. Dr. Weil's Walking CD is a wonderful combination with our dog training books, which emphasize the importance of walking with your dog. 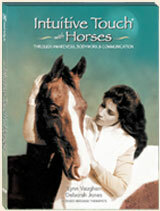 So explore and enjoy the gifts of mutual healing you can generate for you and your animal! & Jon Kabat-Zinn , Ph.D.